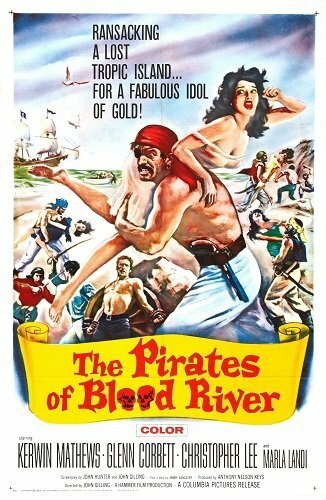 HispaShare.com - Película "The Pirates of Blood River"
Kerwin Mathews, Glenn Corbett, Christopher Lee, Peter Arne, Maria Landi, Oliver Reed, Andrew Keir, Michael Ripper, David Lodge, Dennis Waterman, Jack Stewart, Lorraine Clewes, Jerold Wells, Desmond LLewelyn. ¡Una de piratas de la Hammer! Solo por Christopher Lee y Oliver Reed merece la pena.